The special theme for the current issue of Choices Magazine is: "What happens when the well goes dry? 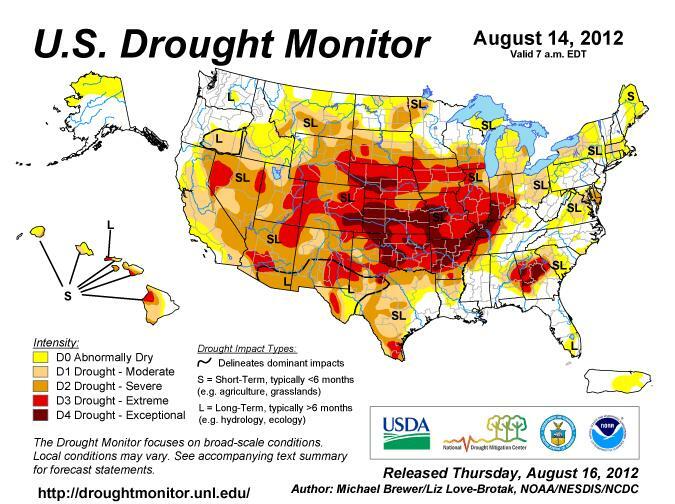 And other agricultural disasters." 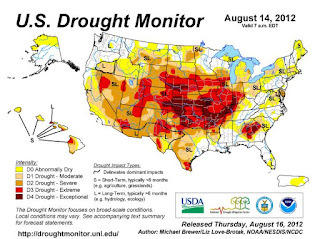 [T]he increasing probability of drought conditions across the U.S. due to increasing climate variability should cause decision makers to think beyond the immediate crisis. 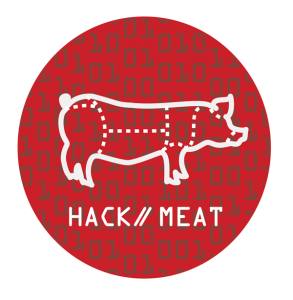 Other contributors include K. Bradley Watkins, David P. Anderson, J. Mark Welch, John Robinson, Kurt M. Guidry, J. Ross Pruitt, Kurt A. Schwabe, and Jeffery D. Connor. Choices Magazine is an outreach publication of the Agricultural and Applied Economics Association (AAEA). 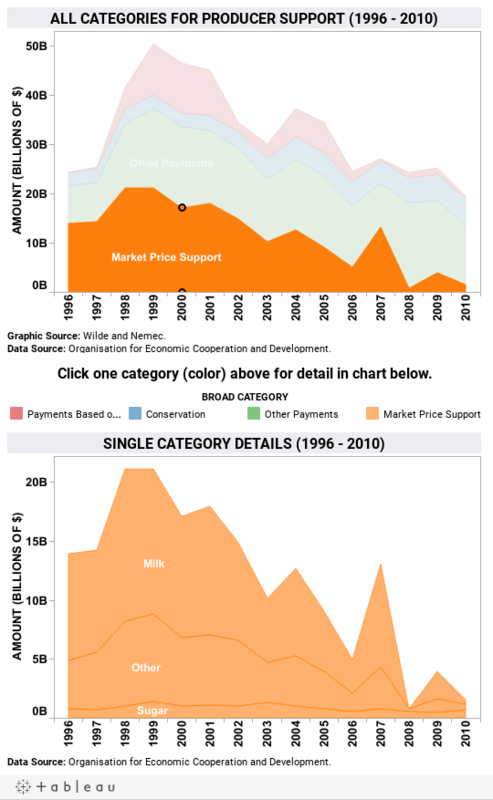 The Council on Food, Agricultural, and Resource Economics (C-FARE) in July released a nice accessible report series entitled Conservation Crossroads. The reports review important conservation policies at a time when U.S. agricultural programs are in flux, so it is unclear whether new farm programs will have the same connections to conservation objectives that older programs had. I serve on C-FARE's board of directors. 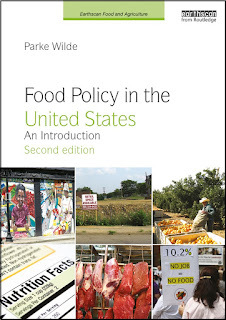 Through outreach publications and webinars, C-FARE seeks to share the excellent work of food and agricultural economists with a wider audience. This paper examines how conservation programs for agriculture provide significant social and environmental benefits. However, given budget constraints and pressures to increase production, Conservation programs must further evolve to maximize effectiveness at the lowest possible cost to the American taxpayer. This paper provides a "Top 10" list of improvements that could be made to Conservation programs in order to get the biggest bang for the buck, both for taxpayers and the environment. This paper observes that over the past decade crop insurance has evolved into the largest subsidy among U.S. farm programs. With the impending elimination of direct payments, crop and revenue insurance and the related "shallow loss programs" will be even more important, especially for program commodities. However, agricultural insurance programs stimulate production of the more subsidized crops and likely result in less diversification of crops, expanded planting on marginal land, and increased potential for adverse environmental effects of farming. This paper reviews the historical context of the Conservation Compliance farm program, and its impact on both farmers and civil society. The paper discusses the incentive structure of the modern Conservation Compliance system and highlights the risks and dynamics associated with changing this structure. The Massachusetts Budget and Policy Center this week released new resources about breakfast and lunch participation in Massachusetts schools. A chart pack (.pdf) illustrates data describing the extent of take-up of nutrition benefits, and a summary graphic (.pdf) traces a wide variety of nutrition assistance programs from the federal funding sources to the state and local implementation level. More generally, the Kids Count data center from the Annie E. Casey Foundation has a wide variety of state-level data resources for all states. For example, here is an interactive map showing children's poverty levels by regions within Massachusetts (you can mouse over selected counties to see specific statistics). 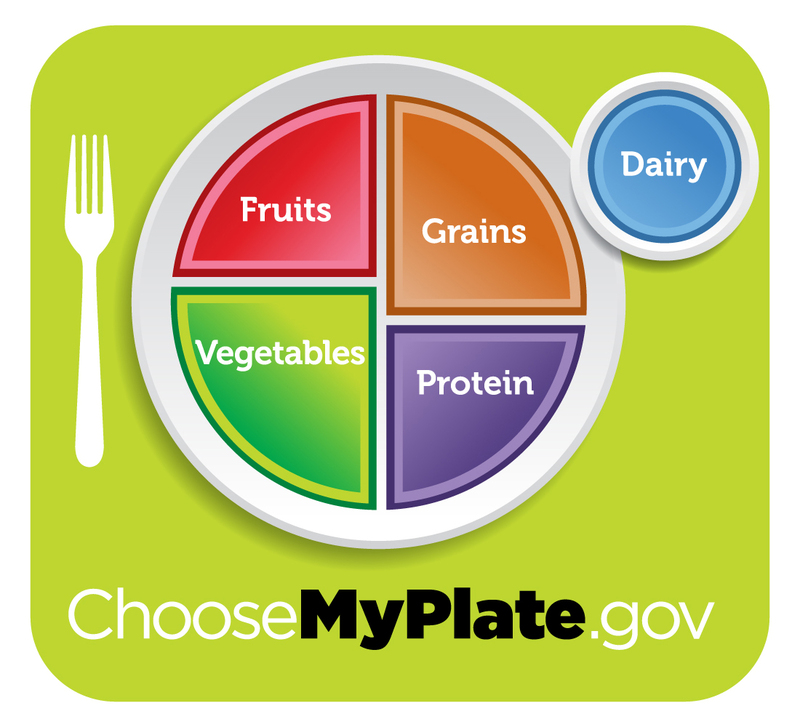 First, I like the plain matter-of-fact tone of the federal government's MyPlate graphic. It paints a pleasant portrait of a healthy meal, and then underlines several key messages for consumers by stating them in blunt English. One of the key recommendations is to "drink water instead of sugary drinks." A reasonable person may add that one should drink water instead of sugary drinks most of the time, but the mainstream message of the dietary guidelines reflects the best judgement of scientists in this field. Second, in a new video from the Center for Science in the Public Interest (CSPI), public health marketers seek to both imitate and expose the emotive power of soda advertisements. In the video, a family of polar bears endures the harsh effects of diabetes and learns that the soda advertisements offer only a false promise of happiness. The video strays close to playing on guilt themes as motivation for healthy behaviors, but the polar bears are fundamentally sympathetic, and they take charge of their own lives in the nice ending. But ABA spokeswoman Karen Hanretty says, "CSPI is better at producing videos than they are doing math. People are drinking fewer calories from soda -- and have been for a decade -- so how can soda be to blame for rising obesity?" The basic message that it is better to limit sugary drinks is well-established and denying this with misleading trend statistics just makes the video look like the more serious party in this conversation. According to a new poll (.pdf) conducted during September 20-27 in California, 76.8% of respondents would vote "yes" on Prop 37 -- calling for mandatory labeling of genetically engineered (GE) foods. First, among those intending to vote "yes," 71% said their motivation had to do with the right to know what is in their food, while 16% listed food safety concerns. It is reassuring that comparatively few respondents listed food safety concerns. In my opinion, food safety concerns are not the most sound reason for supporting biotech labeling. Second, the survey included some sharp questions about whether people would still favor mandatory labeling even if it made food more expensive. Sensibly, fewer than half of respondents would support mandatory labeling if it led to price increases of more than 12%. That would be a very large price increase! More than half of respondents would still support Prop 37 if there were smaller price increases. To me, although the median price point seems high, this again suggests that the respondents perceived the essentials of the economic tradeoffs implied by the proposition. To put the price increase issue in perspective, Dan Sumner and Julian Alston recently estimated (.pdf) that Prop 37 could lead to $1.2 billion in new costs on California food manufacturers for labeling, segregation, and monitoring. (Sumner and Alston served as my hosts and mentors during a terrific sabbatical year at the University of California in 2010-2011, though nobody should assume they endorse or are to blame for any opinions offered in this blog!). 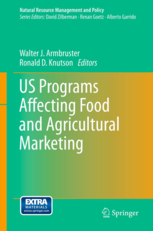 I suspect that Sumner and Alston's cost estimates imply a food price increase far smaller than 12%. Here is one more very interesting thing about Sumner and Alston's paper. They believe that mandatory labeling "would reduce choices by driving some food products containing GE ingredients from the market." In this view, the label would influence manufacturing methods, and many food manufacturers would use a label that says "made without GE ingredients." Their colleague at UC Davis, Colin Carter, believes that many food manufacturers would find it impossible to source non-GE ingredients and that most conventional (non-organic) food would be labeled "may contain GE ingredients." Another important finding from Lusk and McFadden's report is that many consumers do not understand which foods contain GE products. I think that if Prop 37 passes (a) GE-free foods will be labeled GE-free, (b) foods that contain GE ingredients will be labeled "may contain GE ingredients" and (c) consumers will be much better informed. In my view, the strongest case against Prop 37 is subtle. If consumers care about genetic engineering, then voluntary GE labeling should be widely promoted. But, if government scientists are not persuaded that GE foods are dangerous, then one could argue that the government should not make GE labeling mandatory. The Friedman Sprout (the Friedman School's graduate student newspaper) has just posted its October issue, with an organic food theme. Welcome to our Organic Issue! Here at Friedman, organic and local foods are more synonymous with lunch than peanut butter and jelly. But more and more it's not just nutrition students who care about where their food is from and how it's grown. In fact, a study on organic food and health recently stirred up some national controversy. 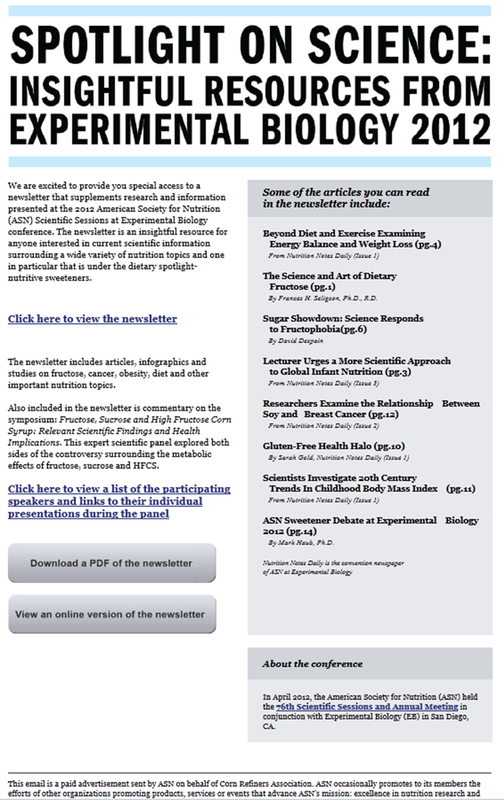 We break down the research for you in this issue. We also feature an alumni interview with Jody Biergiel, who certifies organic farmers and handlers as Director of Handler Certification for CCOF. In addition, read on to find a delicious recipe featuring organic apples, a restaurant review of a local organic restaurant, and a spotlight feature of Friedman's own organic garden. 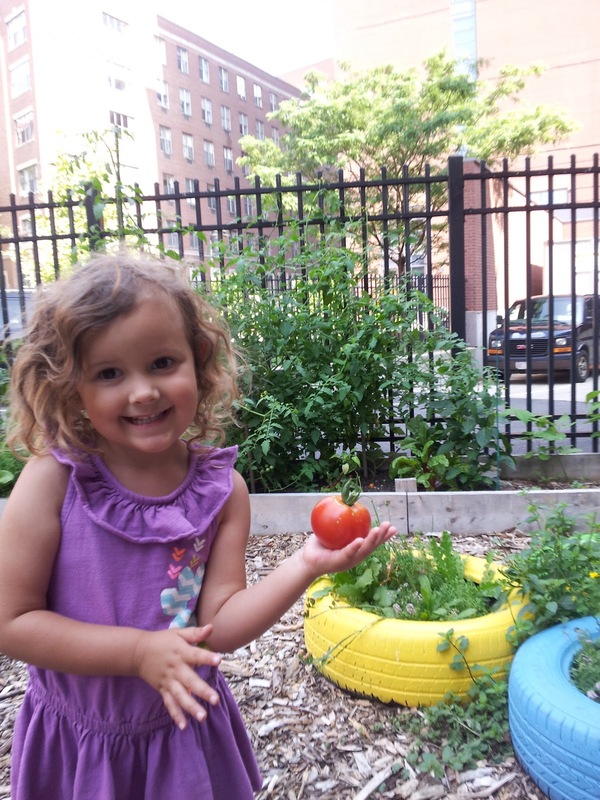 Check out our very own organic vegetable garden. 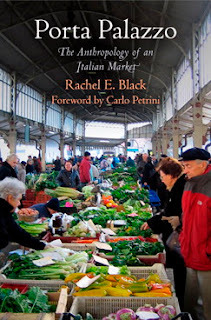 Porta Palazzo: The Anthropology of an Italian Market is Boston University anthropologist Rachel Black's study of cultural changes in a large open-air market in Turin. Black described her work at a dinner event hosted last night by Kitchn Table, a Boston-based event/class series organized by Wheeler del Toro (author of an ice cream cookbook, The Vegan Scoop). Many farm programs and policies have never been permanently authorized, so, if there is no Farm Bill, policy reverts to a messy jumble of past authorities from more than 60 years ago. The National Sustainable Agriculture Coalition (NSAC) has clear and detailed answers to 15 questions about Congress' failure this year to pass a Farm Bill. Here is an example. What happens if we ... revert to the 1949 Farm Bill? The supermarket that is planned for the Hill District neighborhood in Pittsburgh has been delayed by serious challenges. The project requires several million dollars in public and non-profit financing, in addition to the usual private sector financing, but not all of the expected money has been confirmed. The opening had been expected in November 2011 but is now scheduled for spring 2013. Neighborhood residents are angry and frustrated. This blog reported in July 2011 on early plans for the supermarket. I viewed the cleared building site and took a long walk through the Hill District while visiting Pittsburgh for the Agricultural and Applied Economics Association annual meeting that summer. I was interested in this particular supermarket because it will be the subject of economic analysis in Rand's Phresh study, comparing food and health outcomes before and after the introduction of the supermarket. The Hill District is famous for its jazz history and as the setting for the plays of the great American playwright August Wilson. There is some question about whether the Hill District meets official definitions of a food desert, because some parts of the neighborhood do have other supermarkets less than a mile away, but these official definitions cannot easily adjust for the steep hills that give the neighborhood its name. Some federal financing sources seek to target neighborhoods that meet a technical definition. Any visitor on foot would immediately recognize the Hill District as an exceptionally impoverished neighborhood, which seems like a food desert in laypersons' terms. Even as recently as September 30, 2011, a report (.pdf) from the Reinvestment Fund, a neighborhood financing initiative, seemed to expect the store to open in November 2011. However, the report did explain just some of the challenges facing the Hill House Economic Development Corporation (HHEDC), which played a central role in organizing the supermarket project. About $6.8 million in financing was anticipated from multiple sources, which may have been difficult to coordinate. The Reinvestment Fund wrote, "Despite a strong board and significant community support, a project of this scale was still a daunting task for HHEDC as a small [Community Development Corporation]." These challenges have worsened. Julie Matthews, who had led the Hill House development arm, was fired on February 9 this year, a day before she was scheduled to make a presentation about the project's financing. In April, Matthews filed a whistleblower lawsuit, alleging that Hill House used restricted funds from the Reinvestment Fund and the Mellon Foundation in other unspecified ways. I have no information other than the news report about this allegation. This week I noticed that the Reinvestment Fund's website has a whistleblower policy (.pdf), making clear that people involved in projects financed by the fund, who become aware of any misuse of funds, are obliged to report the misuse. It seems likely that the project will go forward in 2013 despite these challenges. Politicians and institutions in both local and national food financing initiatives would lose face if this high-profile project failed. It is possible that resolving all the problems will require even more public and non-profit financing than initially expected. Nobody should judge major national policies from one example, but this episode is likely to contain some cautionary lessons by the time it is over. Though I fear some readers might think me an incorrigible economist for saying so, I think we should ask why supermarket chain managers could not make this project work using purely private financing, or even with just $1 or $2 million in public financing. Supermarket chains are astute judges of local food retail conditions and market demand. Just to take one example, they must recognize that not all Hill District residents will use the local market even after it arrives. Despite the very high level of poverty, about a third of local resident households own an automobile, and even more have some access to shared automobile transport for grocery shopping. One reason a supermarket may require a large public subsidy before choosing a particular location may be that they anticipate a tough competitive environment when they start operating. If the public bill reaches $6 or $8 million for a single supermarket, and even then the project is stressed by financial management challenges and delays, it raises hard questions about this supermarket-centered and high-budget approach to addressing food retail problems in low-income neighborhoods. 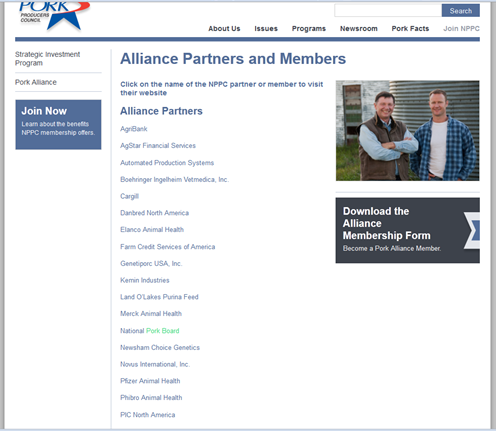 FERN asks: Whose Side is the American Farm Bureau On? The Nation this week explores the American Farm Bureau, which, through affiliated organizations, is simultaneously one of the most important farm lobby groups and also a major insurance operation. The story is by Pulitzer-winning writer Ian Shearn. It was supported by the Food and Environment Reporting Network (FERN). In Washington, the 2012 Farm Bill has predictably been a top priority for the Farm Bureau lobby team. They have surprised players from both sides of the debate by conceding cuts in traditional subsidies in exchange for a large expansion of subsidized crop insurance that protects against disasters and falling prices at an estimated cost to taxpayers of $9 billion a year. The tactical, philosophical shift garnered praise even from Farm Bureau adversaries. Nonetheless, it should be noted that crop insurance is a small, but significant piece of Farm Bureau insurance companies’ portfolio. In 2011, they collected over $300 million in crop insurance premiums. American Farm Bureau Federation president Bob Stallman was succinct, almost militant in his opening address last year at the group’s annual meeting: “We will not stand idly by while opponents of today’s American agriculture…try to drag us down…try to bury us in bureaucratic red tape and costly regulation—and try to destroy the most productive and efficient agricultural system in the world,” he said. Mark Bittman this week describes how he overcame years of heartburn by giving up milk. Though the NYT columnist agrees this experience hardly counts as a controlled experiment, it does point his critical attention toward USDA's dietary guidance message about dairy. There’s no mention of water, which is truly nature’s perfect beverage; the site simply encourages us to switch to low-fat milk. Regarding MyPlate's inclusion of soy milk in the dairy group, however, not all federal government messaging seems to agree. Soymilk is a great source of high-quality soy protein, frequently fortified with calcium and vitamin D for bone health, and an option for the lactose-intolerant. But the federal government's dairy checkoff program disagrees. The program has authority from Congress to issue federal government messages in favor of dairy products using money from a mandatory assessment on dairy producers. 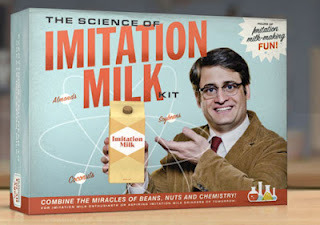 The dairy checkoff program has a bitterly sarcastic satirical flash-based interactive website, mocking soy milk for its sugar content, long ingredient list, and food science chemistry manipulations. By using checkoff programs to sponsor contradictory messages for different commodities -- while approving each message as "government speech" -- the federal government serves consumers poorly. When will these programs be reformed?